Dennis Purcell has served as the senior managing director of Aisling Capital since February 2000, which has approximately $1.7 billion of assets under management. 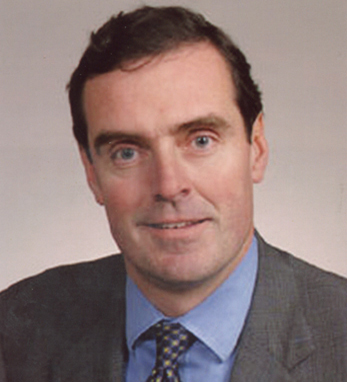 Prior to joining Aisling Capital, Dennis served as managing director of the Life Sciences Investment Banking Group at Chase H&Q for over five years. During his tenure, BioWorld and other industry publications cited H&Q as the leading underwriter of life sciences securities. Dennis is a frequent commentator on the industry and has been honored in the “Biotech Hall of Fame” by Genetic Engineering News, named to the Biotechnology All-Stars list by Forbes ASAP and cited as one of the top 100 contributors to the biotechnology industry. He has served as a member of the Advisory Council at Harvard Medical School, the board of directors of the Biotechnology Industry Association, as well as the New York Biotechnology Association and the Irvington Institute. He also serves on the board of L.E.K. consulting. Dennis received his M.B.A. from Harvard University and his B.S. in accounting from the University of Delaware.